I came from a radio interview yesterday morning. My friend, April and I were interviewed for the Steps Project. It was for a show in DZRJ called Mind Your Own Business. The show is hosted by Atty. Nikki De Vega, a lawyer who gives tips and advice to people who want to start their own business. It’s really a cool show and you, guys, should listen to it! My longest media interview so far! Before the show, we were chatting and we learned that she (the host) already has a 1 year and 8 months daughter. She had a hard time breastfeeding for a long time since after three days, she needed to go back to work. She was telling us how hard it is to express milk in an environment that doesn’t give much leeway for women. She told us that in her firm, she’s the only woman lawyer and it’s so hard to excuse yourself to do “lady stuff”. Pregnant women or women with children will find it hard to thrive in a world like this. Not all companies are understanding of what we women go through, especially when we get pregnant and have our children. Not all will understand that you have to excuse yourself from work at least three times a day just to express milk. Not everyone will understand why you have to suddenly leave work at the middle of the day to attend to your child who has suddenly gone ill from eating too much ice cream. Not everyone will understand how important PTA meetings are of how important recognition day is. 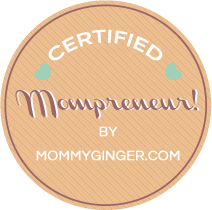 Those are the perks of being a mompreneur. You manage your own time and make room for things like these that really matter. Family then becomes your number 1 priority and your career becomes secondary. I’m not saying that the business is not important. What I’m saying is that as a mompreneur, you are your own boss and you call the shots. Yes, the business needs your attention so the skills now that you have to learn are time management and becoming driven. Not a lot of women make this decision to jump the gun and start their own business. You have to have the right mindset and the “heart” for it. That is why the title of our first mastermind session (which is the second run for 2014, btw) is How to Have the Heart of a WAHM. I’m sure those subscribing to Manila Workshops’ newsletter get to read about these Masterminds. Ladies, masterminds are not like our usual workshops where people come in and sit and listen. The masterminds is a support group for ladies who want to start their own business or for those who are still figuring out if they want to start their own business. These masterminds are conversations. There is a moderator, but all the attendees do the talking. I have been to most of the runs of the previous run and I am really pushing for people to attend these sessions. We have had a lot of people realize what they want to do or what they are capable of doing. 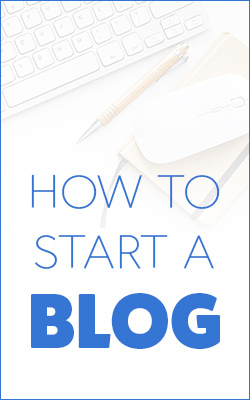 Most realize that they need to start creating their businesses already. The most important part of these sessions is that you get support and tips from ladies like you, business-minded and all. You can even network and sometimes even get business partnrs or suppliers from these group of people. Lovely, right? It’s not too late to sign up! All you have to do is go to Mothercare Active Fun on Saturday at 10:45am and sign up. Fee to join the session is at Php 600. 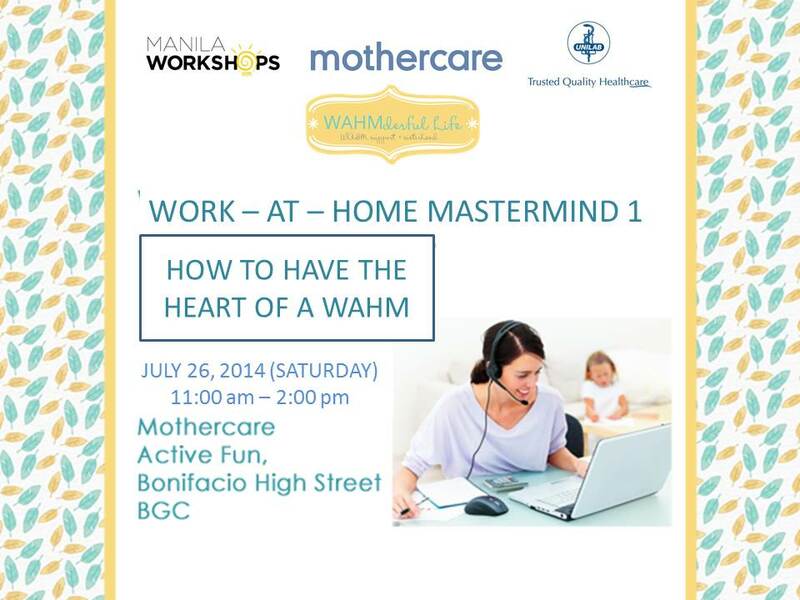 The first session is sponsored by Mothercare Philippines and Unilab. 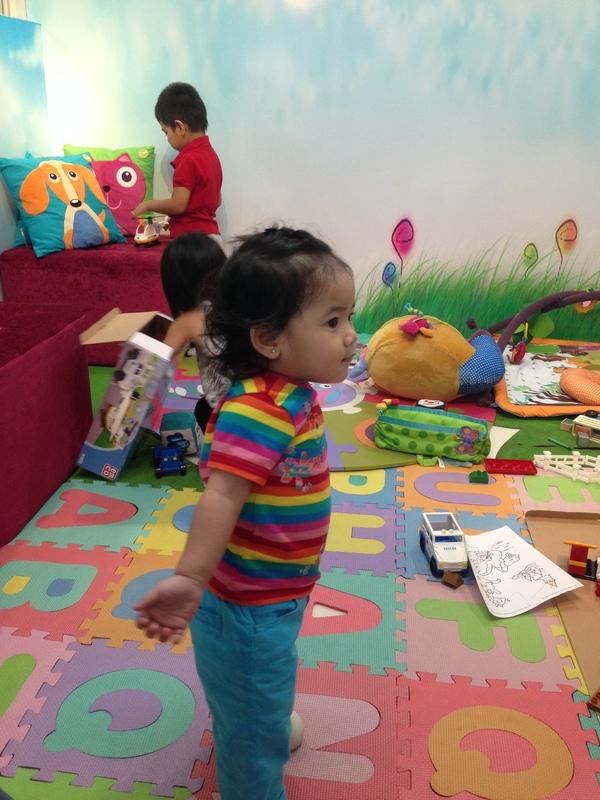 BTW, Mothercare Active Fun is along 9th Street in BGC, just across the Honda Car Dealer in the area. So, hope to see you there! When I was little, I got really good grades and excelled in class. My mom was very patient in tutoring me after class. Now that I’m a mom, I don’t know if I could be as diligent at being a mom as she was. It has been months that Ej has been asking me for a schedule for Zeeka so that yaya and everyone else in the household could follow that schedule, but until now, his “kakulitan” has got him no where. Yes, I am guilty! I attended this brief meet up where the Ogalala System in Play was introduced. Ogalala is derived from from the native American Indian term for an underwater irrigation system. Water is a symbol of life and what the Ogalala system does is that it brings forth life for kids in the form of play, fashion and exploration. What the Ogalala system teaches us is that we should let our children be warm, light-hearted, curious and global. I super agree with that and that’s why I took it upon myself to listen to Ms. Maye Yao Co Say, the Chief Operating Officer of Internationale Globale Marques, Inc. (company behind the brands behind the Ogalala System). She’s a dotting mom and really took time out to follow a system with her children. When here kids were small, she even had an excel sheet on the schedule of her children. We got a copy of the schedule that we could follow. I am now inspired to create my own schedule and do some modifications based on the toys and the materials that we have at home. I mentioned toys because TOYS are actually an integral part in teaching your child. 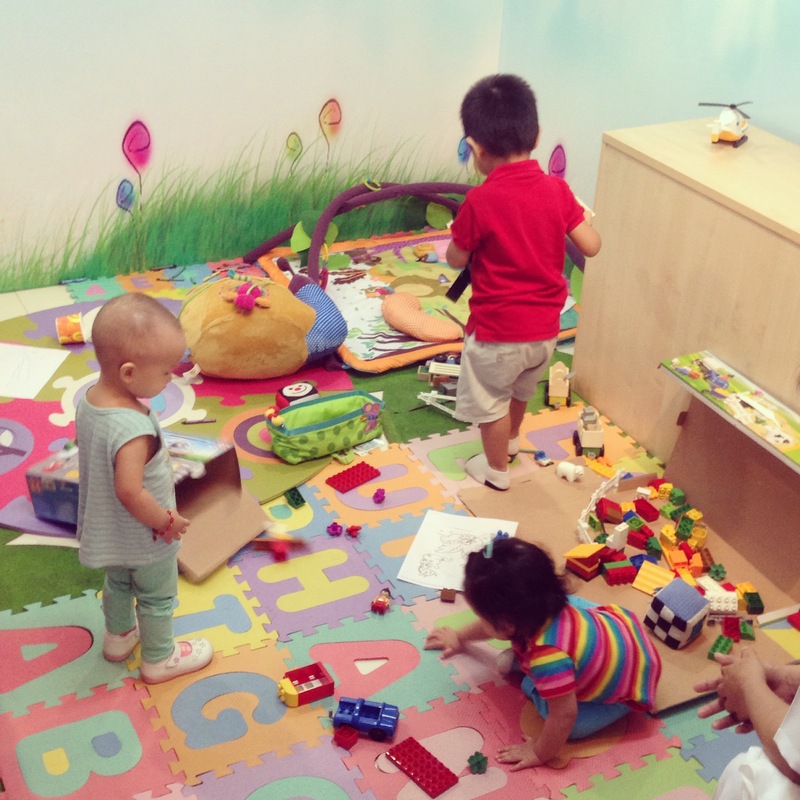 Your infant, toddler, pre-schooler and so on and so forth, actually LEARN THROUGH PLAY. Playing addresses developing the four aspects in your child’s life: Social and Emotional Development, Physical Development, Language Development and Intellectual Development. The tools and toys that you use are important in following this Ogalala System in Play. Crayola: Crayola stand by all who believe in the genius of imagination, the power of play and the magic of dreams! 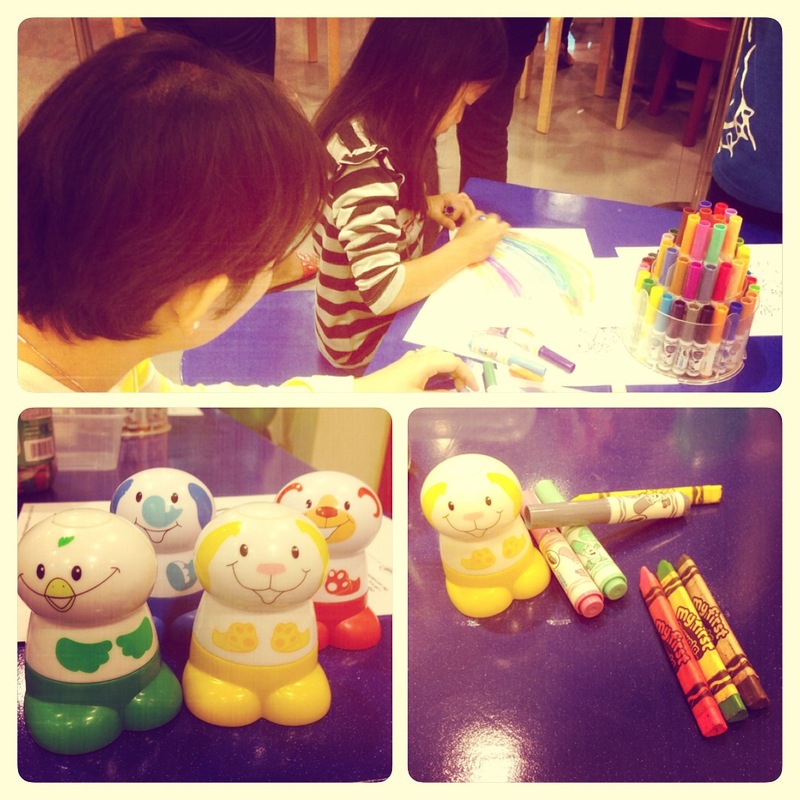 It was only in this meet-up that I got to learn about triangular crayons! As compared to the round ones, the triangle ones automatically fixes the child’s grip. Cool, right? Melissa & Doug: A US Brand with a 26-year heritage know for the tremendous value, quality and design of its wooden educational toys and innovative arts and crafts materials. These blocks are now my favorite. Zeeka now knows how to stack them up (although she bangs it after the last small block settles on the top). I will use the blocks next to teach her the names of the different animals on the sides of the blocks. Baby Einstein: A US brand that brings the world to infants and toddlers one discovery at a time! Do you know how to use flash cards? I love Baby Einstein! Oh, do you know that there is a ‘right’ way of using flash cards? What you do is get three cards on the first day and just read the words. Get another three cards to make it six on the second day and just go through the words again. Do this until you have 20 cards. 20 is the maximum number of cards that you should have in your hand, so if you want to introduce new words, just drop three cards and add three new cards. Repeat this process and if you see that your toddler gets the words already, add a little description. What’s great about these flash cards from Baby Einstein is that everything is written on the back. A script is ready for you to use! The other brands are Haba, Discovery Kids, Animal Planet, Artec, Emco and Oops. Learning about how to teach Zeeka was inspiring for me. Although I play with Zeeka every day, I am now intentionally teaching her while we play. 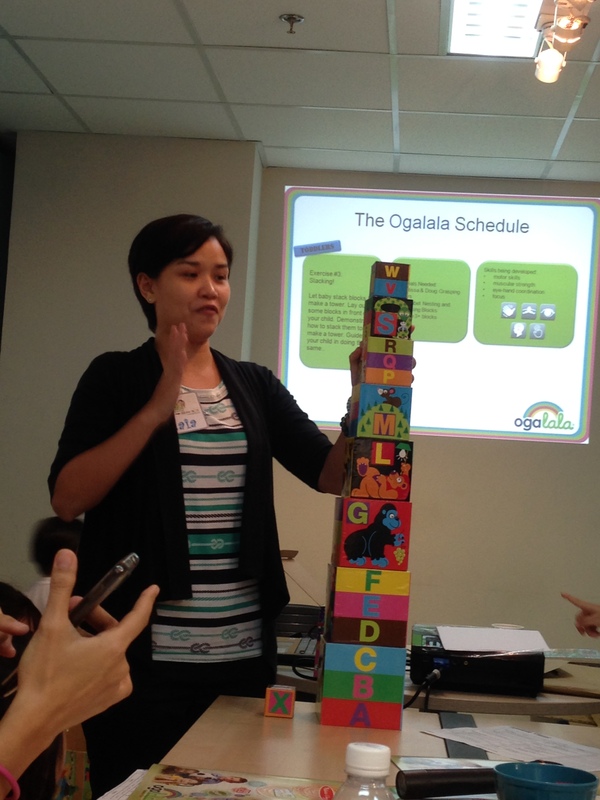 To learn more about the Ogalala System in play, please visit www.oga-lala.com or visit their facebook page, Ogalalaworld. For those who know me, I’m really madaldal (talkative) ha especially when we become close. I also love it when we talk about children, business or money and earning money (lol!). As you all know, I hardly agree to speak in our own workshops. I would rather stay in the background and oversee these events and let my workshop directors take the lead and the guest speakers to take the center stage. But believe it or not, I agreed to be a speaker for this Saturday’s Preparing for Baby’s Birthday for the First Time Parents Workshop which is brought to you by Manila Workshops and Best For Families Inc. I agreed because I wanted to share my own experiences and tips on preparing for your child’s birth day and preparing for your own pregnancy. labor and delivery. I think it’s different when you hear it from a real mom. A lot of workshops have doctors as guest speakers (which we will have, too, on Saturday), but seldom have moms like them who can talk to them on a personal level. I will also discuss mostly how we prepared financially for this part of our lives, so daddies, this might be interesting for you, too! What are your questions about pregnancy? What would you want to ask a fellow mom like you about pregnancy and labor and preparing financially? Feel free to leave a comment below! 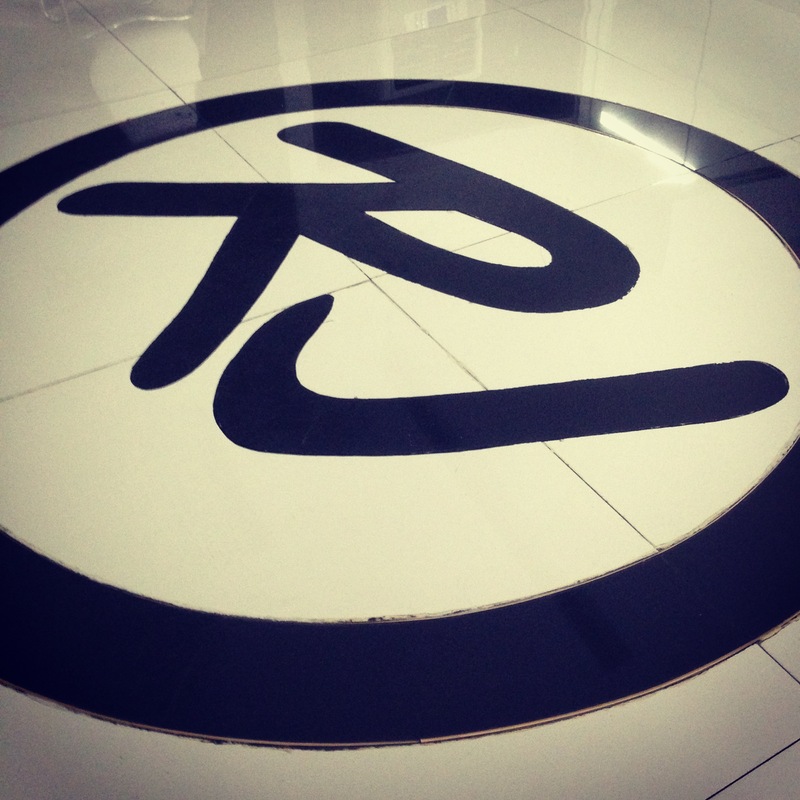 This is what was posted on one of the walls of Onelife Studio in Makati. 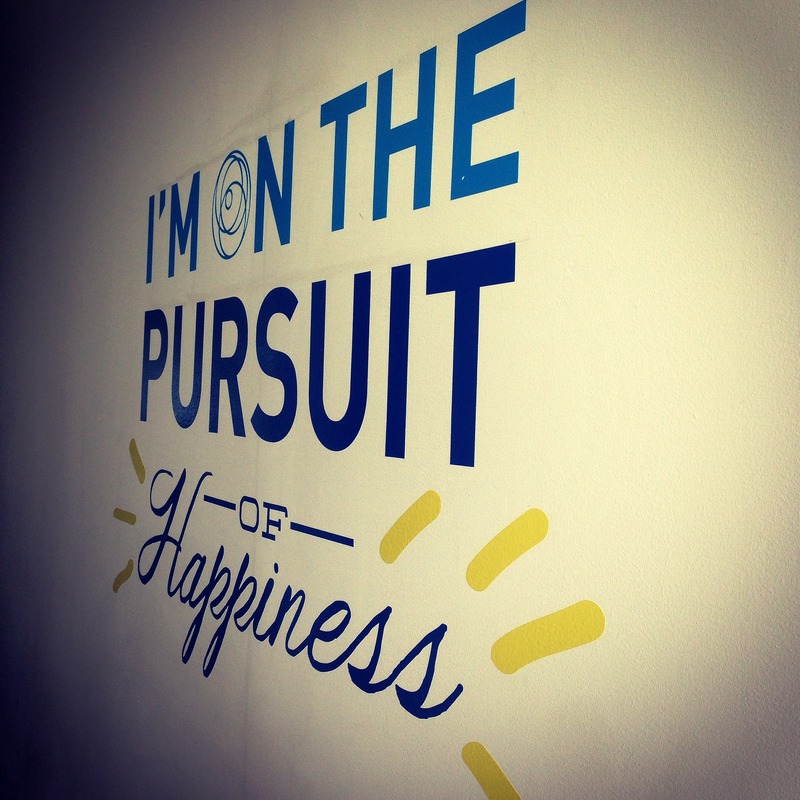 I am really on the pursuit of happiness. I know what makes me happy and that is having loving relationships with others. The definition of loving in this statement is doing unto others what you would want to them to do unto you. I try to live by this golden rule each and every day. I don’t want to go all philosophical on you, but this ‘rule’ is pretty simple. I intend to go to the Onelife Studio more often this coming month. 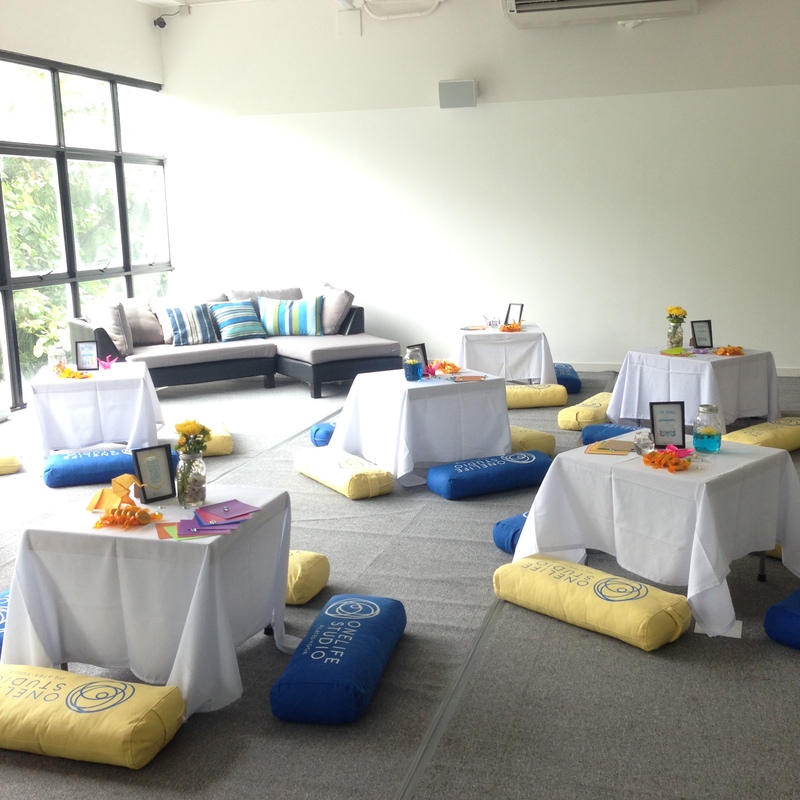 I love the ambiance and I love that promote the place and have branded the place as something more than a fitness studio that offers yoga, pilates, belly dancing, and all other types of fitness classes, but as a home away from home. Every one here or rather every one who comes to the studio is treated like ‘family’. I have been there once to check out the place and I already felt the ‘love’. And I plan to visit the place by joining Eats Right Batch 2. 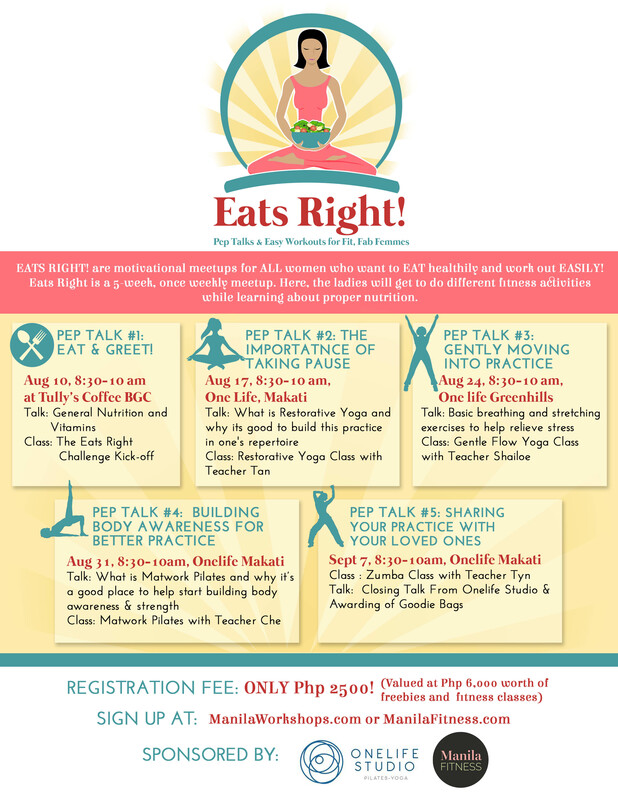 Eats Right are motivational meet-ups for women who plan to achieve their fitness and health goals. We are here to support you make your life healthier and happier. I’m excited for this run as our partner will be Onelife Studio and we have sessions on Restorative Yoga, Gentle Flow Yoga, Matwork Pilates and a Zumba class. You will be able to try all of these sessions and get that support group to finally achieve your health and fitness goals. To sign up, please fill out the form below. As a discount, for those who key in MGEATSRIGHT2 in the coupon code field, you get to join for a discounted price of Php 1500 (for those who sign up within the month of July only). Today was actually a bad day for me since I was trying to overcome a lot of things (i.e. Zeeka’s painful teething cry, a ton of deadlines that I have to meet, etc.). In trying times like these (whether it be work related or fitness related or relationship related concerns), sometimes you just need people that you can talk too, so for those who prioritize achieving good health this year, this is a great group to join! Every weekend, I’m always off to a an event where I need to be at. I thank the Lord for continuously blessing GPA Events Management Services (Manila Workshops) with very supportive brand partners, sponsors and attendees. I thank the Lord for a fabulous team who works hard to give everyone a workshop/event that they will learn from and remember. 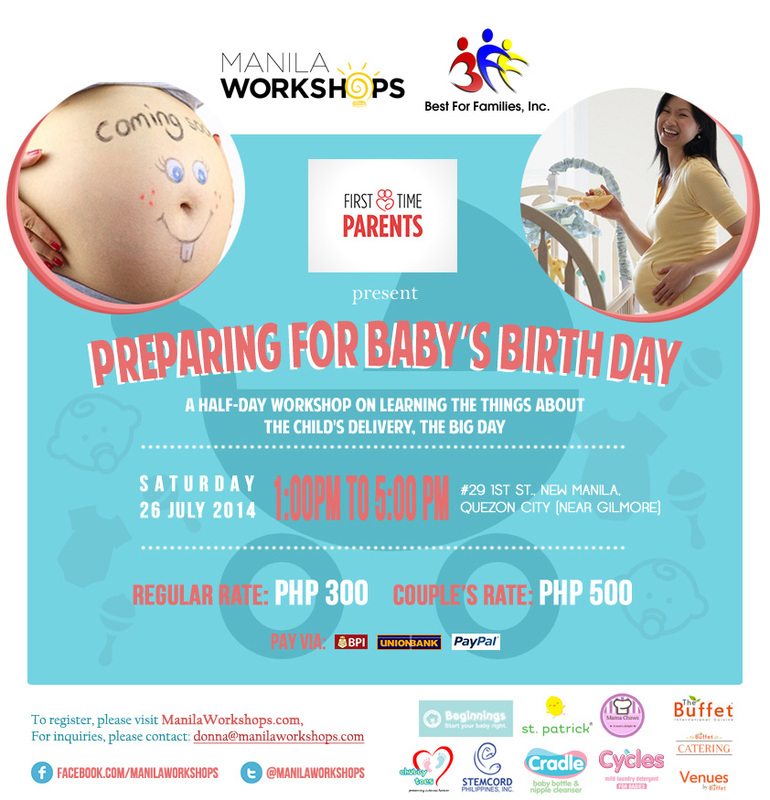 This coming July 19, we have two back-to-back workshops for parents and soon-to-be-parents. Our guest speakers for the workshop are Dr. Diana Liu-Sarmiento and Dr. Aurora Gloria Inguillo-Libadia. Dr. Diana Liu-Sarmiento is a graduate of the University of Santo Tomas Faculty of Medicine and Surgery. She completed her internship and residency training in Obstetrics and Gynecology at the UP-PGH and proceeded with her fellowship in Trophoblastic Diseases at the same institution. Currently, she is a consultant at the Asian Hospital & Medical Center. Our speaker is also a writer for the Women’s Health and Wellness section of Yahoo! South East Asia. You may visit her website for helpful information about women’s health and pregnancy concerns as she has an online question-and-answer section called Magtanong Kay Doc. Her website is www.filipinamd.com. Dr. Aurora Gloria Inguillo-Libadia is currently an attending pediatrician and neonatologist at the UP-PGH. She holds important positions in the UP-PGH such as being Co-Chair of the Breastfeeding Committee and the Head of the Human Milk Bank. She is also an associate professor in the Section of Newborn Medicine in the UP-PGH College of Medicine. She received her Observership trainings in Human Milk Bank Operations in Italy and in Neonatology in the United States. Various hospitals around Metro Manila and Cavite also have her as the head of their neonatal intensive care units (NICU’s). She is a board member of the Philippine Society of Newborn Medicine and is a part of the National Committee on Human Milk Banking of the Department of Health. 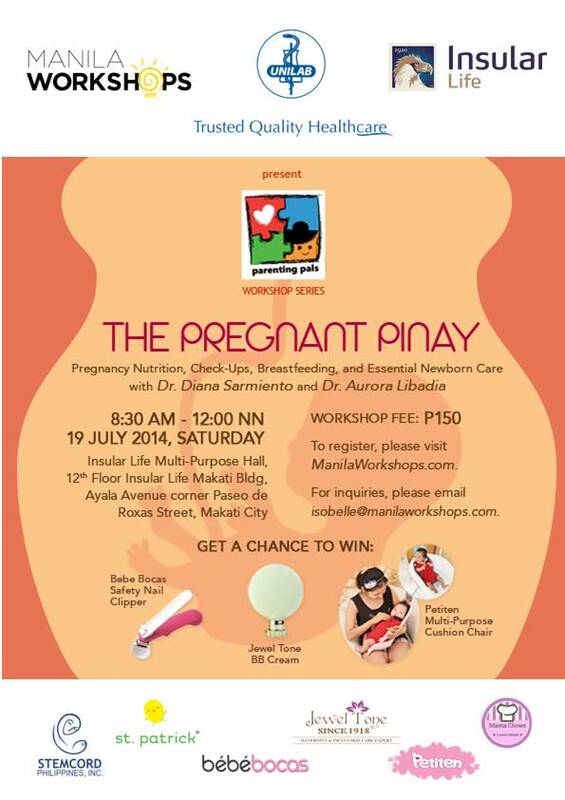 The Pregnant Pinay is on Saturday, July 19, 2014, from 8:30 AM to 12:00 NN at the Insular Life Multi-Purpose Hall, 12th Floor Insular Life Makati Building, Ayala Avenue corner Paseo de Roxas Street, Makati City. 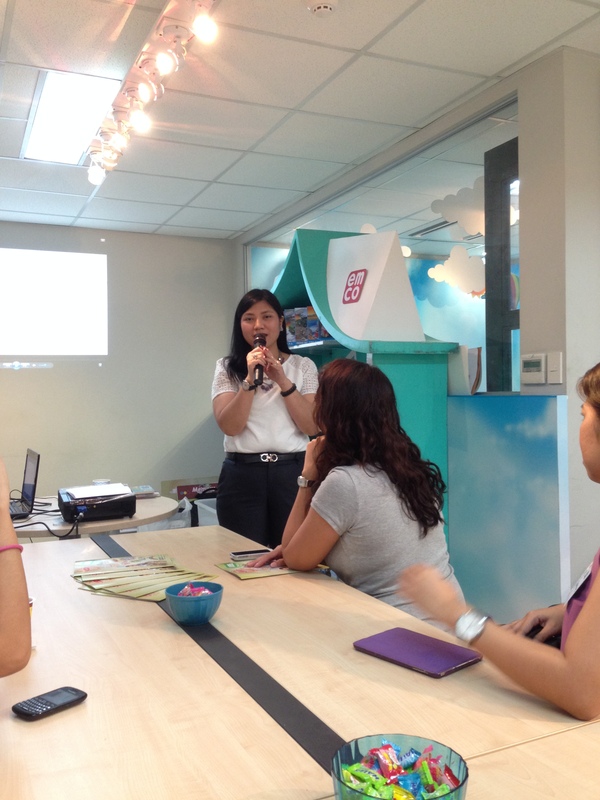 This workshop is brought to you by Unilab and Insular Life. The other sponsors are StemCord Philippines, Inc., Jewel Tone, St. Patrick, bebebocas, Petiten and Mamachows. 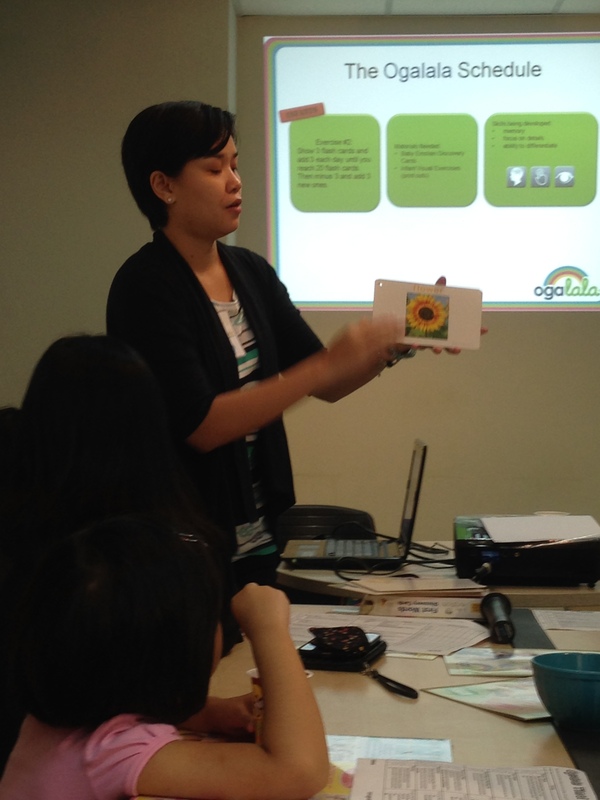 In the afternoon, Manila Workshops will be having a rerun of the Feed Your Child Right Workshop. Our guest speaker is Miss Velvet Escario-Roxas, one of the country’s foremost breastfeeding experts and Deputy Executive Director of Arugaan – Support System for Women with Infants and Young Children. She is an international resource person and has trained more than 4,000 breastfeeding peer counsellors in more than 20 cities in the Philippines. Her wide experience also comes from her counselling work with many parents in grassroot communities and from her trainings and conferences both locally and abroad. 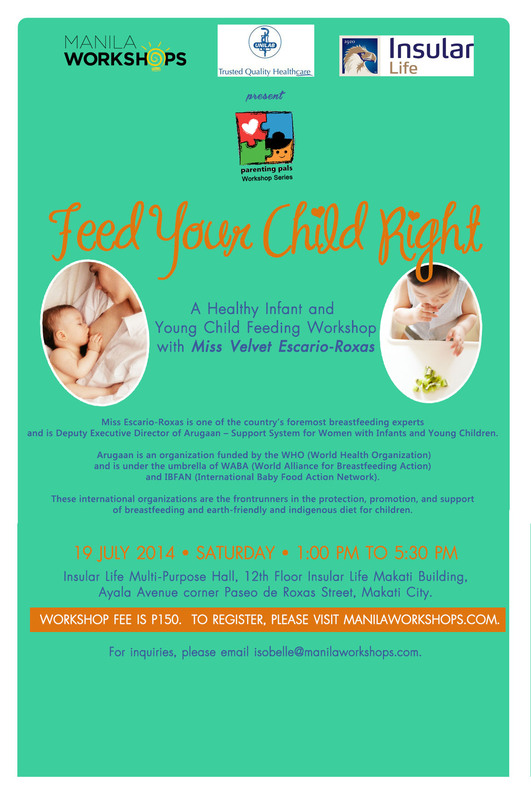 Feed Your Child Right (The Rerun) is on Saturday, July 19, 2014, from 1:00 PM to 5:30 PM at the Insular Life Multi-Purpose Hall, 12th Floor Insular Life Makati Building, Ayala Avenue corner Paseo de Roxas Street, Makati City. We hope to see you in these workshops! Please feel free to spread the word.